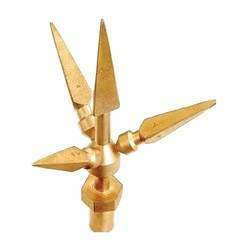 We are manufacturer of Earthing Multi Point. Customized earth bars are available according to client specification including 600amp and 1000amp heavy power earth bars. Amiable Impex manufacture earth bars to our customer requirements using very high quality copper. Any size of copper earth bar can be sourced, fixing materials changed and channel bases can be redesigned to enable a product to be engineered that meets our customer exact earthing requirements.